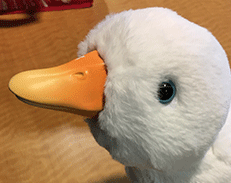 Watch My Special Aflac DuckTM in action. 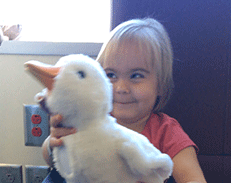 My Special Aflac Duck gives kids with cancer the chance to find joy through play. 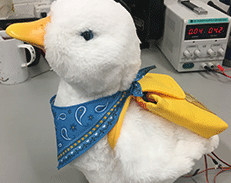 From feeding and bathing the duck to singing with it and hearing its heartbeat, this interactive companion helps kids find a distraction from their diagnosis. 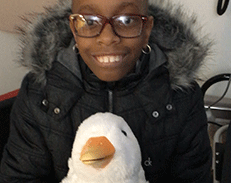 My Special Aflac Duck is a companion that helps distract kids coping with cancer. 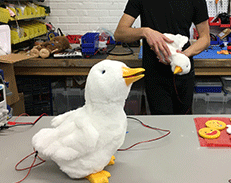 The duck plays soothing sounds, calming heartbeats and takes deep breaths. 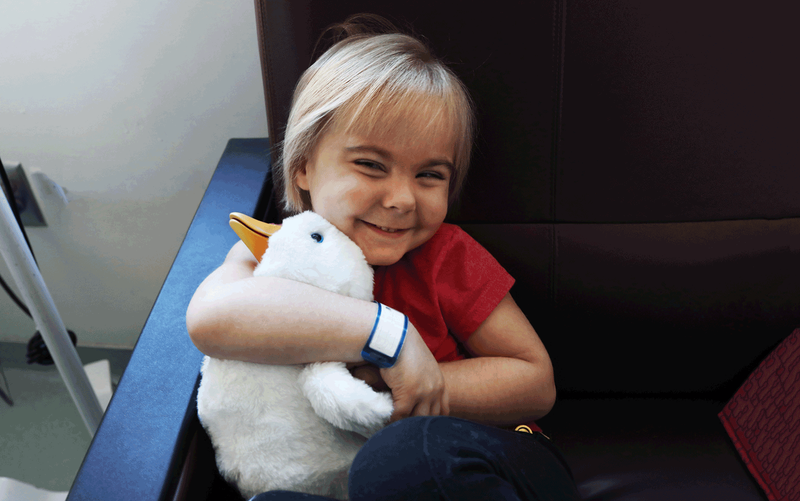 My Special Aflac Duck helps kids connect through medical play. 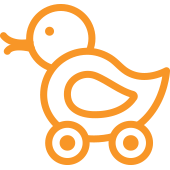 Interactive features let kids feed, bathe and treat their duck just like they are being treated. 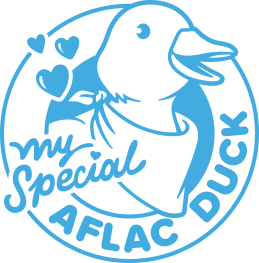 My Special Aflac Duck is just one element of our $130+ million philanthropic commitment to children with cancer, which begain in 1995. 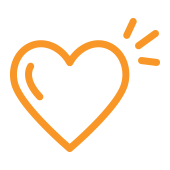 In addition to this interactive, supportive tool, we are dedicated to funding childhood cancer research and treatment. 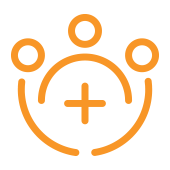 Through the Aflac Childhood Cancer Campaign, Aflac Cancer Center and #Duckprints, our team aims to give support, hope, time and resources to kids who face cancer. Cancer is an enormous challenge, and it's harder for children. 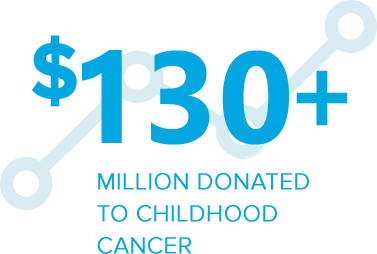 Did you know that every single day 43 kids are diagnosed with cancer in the U.S.? Over 40,000 children undergo treatment every year. Yet only three new cancer medications have been approved for children in the past two decades. * To address this, we support cancer research and treatment. 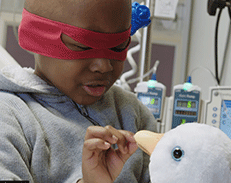 By purchasing from our Aflac store where 100% of the net proceeds go to The Aflac Foundation, Inc. to help kids with cancer, you can too. 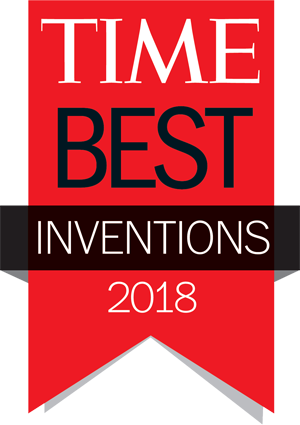 *CureSearch, https://curesearch.org/Infographics. Accessed February 12, 2018. 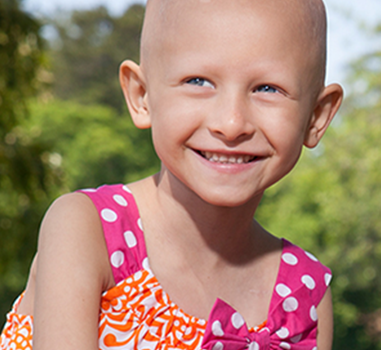 Our commitment to pediatric cancer began over 20 years ago with our caring employees. 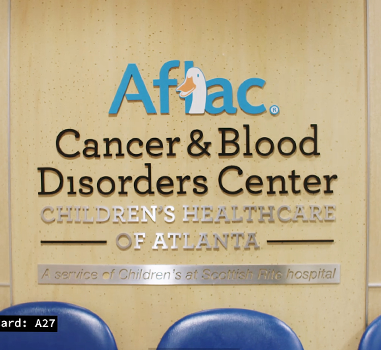 One of the ways we give back to children who face cancer is through our Aflac Childhood Cancer Campaign. 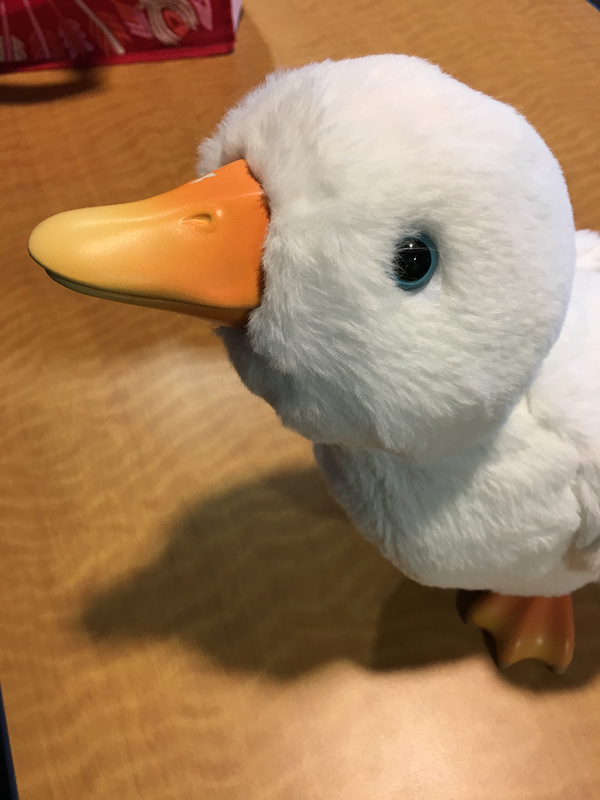 Not only do we provide innovative tools like My Special Aflac Duck through this campaign, we also raise awareness through our #Duckprints campaign that reaches hundreds of thousands of people in-person and across social media. In addition to this, Aflac funds essential research, underwrites treatment and contributes to camp for kids who have cancer. Our team is dedicated to donating our time and money to the childhood cancer cause, and we're proud to have given over $120 million so far. 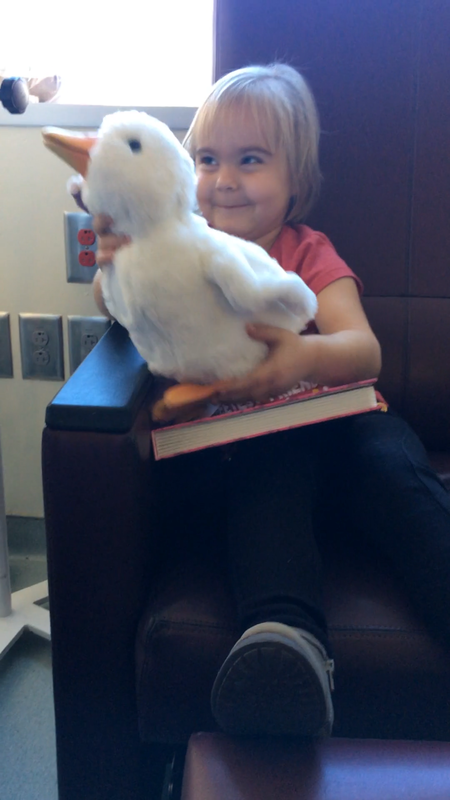 My Special Aflac Duck features naturalistic movement and joyful play to help distract children from the burdens of cancer treatment. A companion app enables children to mirror their care routines such as medical play, feeding and bathing via augmented reality. 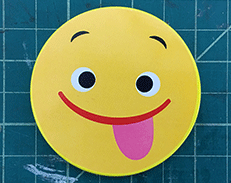 It mirrors young patients' moods, endures the same painful therapies and dances, quacks and nuzzles to help comfort children when they need it most. To learn more about this smart robotic companion, read our FAQ section. 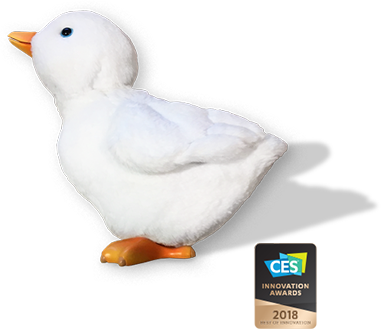 You'll see why My Special Aflac Duck has four patents pending and won the Consumer Electronics Show (CES) 2018 Innovation Awards Best of Innovation in the Tech For A Better World. 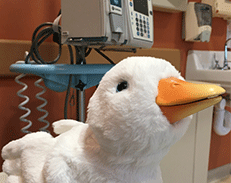 You may be amazed by just how much My Special Aflac Duck can do to help kids through this difficult time.